Now that the 2017 moving season is getting closer, we have compiled a list of current trends and advice for all your moving and storage needs for 2017! There are many changes happening in the moving industry – most are positive but there are still a few moving scams in 2017 that should be avoided. 1. Private Long Distance Moving is on the Rise – Gone are the days of waiting 14-21 days to get your long distance moving shipment. Many companies who used to rely on van lines for corporate relocation are now opting for a faster, more efficient moving service to get their employees to their new jobs faster. This trend is taking place for traditional long distance moves as well. You can find private long distance movers by performing a simple google search. 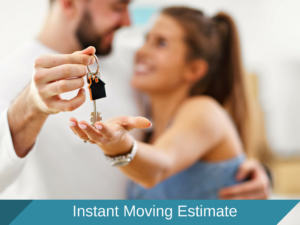 Most private long distance movers will use smaller trucks ( 26 foot) and will be able to give you exact pick up and delivery dates. 2. Prices are Much More Competitive than Last Year – Since private long distance movers don’t have to pay overhead to corporate like van lines, you will see that long distance moving prices should be less than last year by about 1-2%. Moving Brokers Posing as Helpful Services or Actual Movers – There are many moving brokers that charge a fee and sell moves to an independent contractor that will actually do the move. Sometimes the independent contractors are not even licensed which puts your belongings at risk. You should always ask if you are hiring a moving broker when you book your move. It is highly recommended that you hire a moving company that performs all of their own moves and will not sell/barter/trade you move with another. 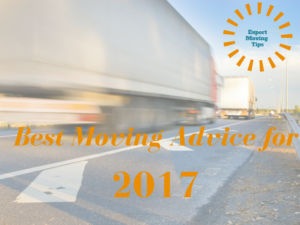 Our best moving advice for long distance moving in 2017 is to ask your long distance mover questions – lot of them! 2. False Locations are Listed, even on Google – There are many companies that have listings on google maps that are not actually located at that address/in that city. It is very important to hire a mover that services your area. 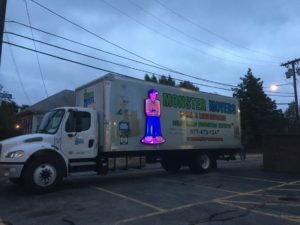 If you are in Boston and accidentally hire a mover based out of California – you could be waiting days if they don’t have truck in your area or if another shipment was heavier and cannot pick up your shipment. 2017 is Going to Be Full of Rogue Movers – Rogue movers aka. craigslist movers, unlicensed movers, movers without licenses are on the rise. It is so easy for anyone to create a fantastic website these days and pose as a professional moving company. Then when some untrained guys in a budget truck show up at your house – this means you got scammed. Our best advice for hiring local movers is checking out their Facebook and twitter page that should have plenty of updated pictures about their business, their crew, and their trucks. Services for Small Moves are Abundant – If you are moving a few boxes, or anything less than a dorm room, there are many companies trying to become the next “Uber Movers.” Essentially they will bring a pick-up truck or a van/car whatever they have and you can load your items in their truck for a much smaller fee than a typical moving company. Our advice – if you have anything heavy – hire movers – these companies only provide transporation. Hire in Advance if You Need Overnight Storage – Overnight storage moving companies are very hard to find – especially in cities like Boston ,NYC, Orlando, DC… You will need to book way in advance if you have a bridge loan in which you will need to hold your stuff on a truck for a few nights. Expect to pay $100-$200/night for overnight storage.